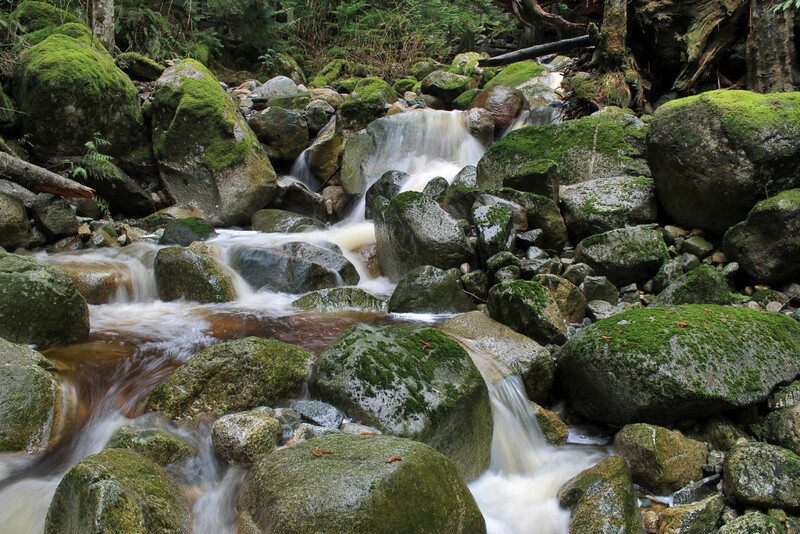 Hike to Sawblade Falls, Coquitlam, BC. Ryan & I are currently on a waterfall kick. After exploring High Falls Creek, the week before, I was eager to hike to another set of falls. 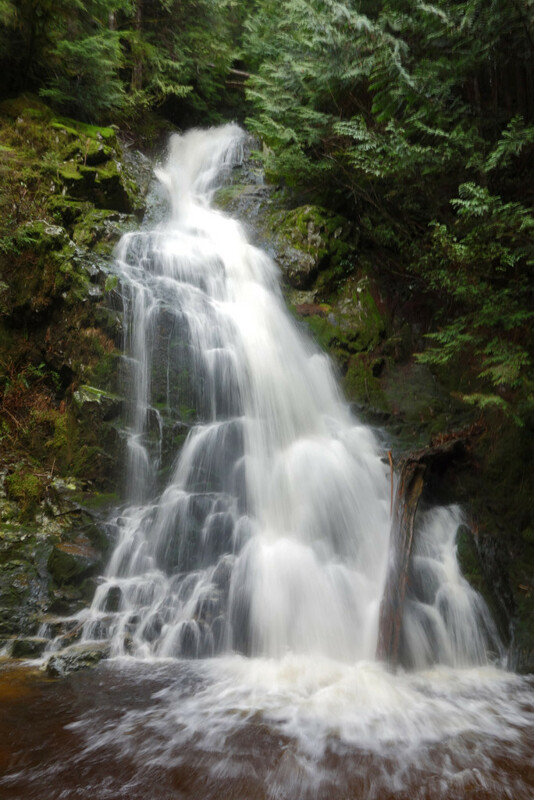 I had heard of Sawblade falls, located in my old stomping grounds, in Burke Mountain. The falls can range from a full cascade to a tiny little trickle down a rock wall inside the canyon. Hoping for good timing, we were expecting a great water fall. 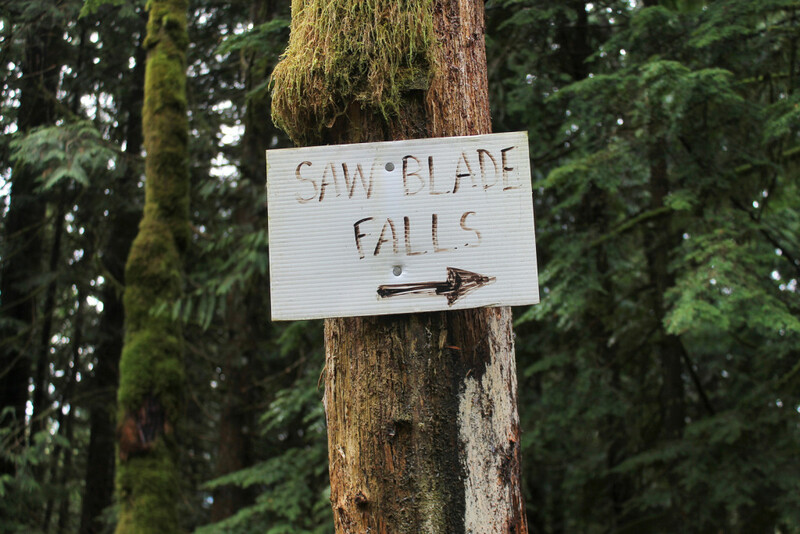 There are several ways to get to Sawblade falls; we were planning to access it via the Woodland Walk trail, one of many, many trails found in Burke Mountain. 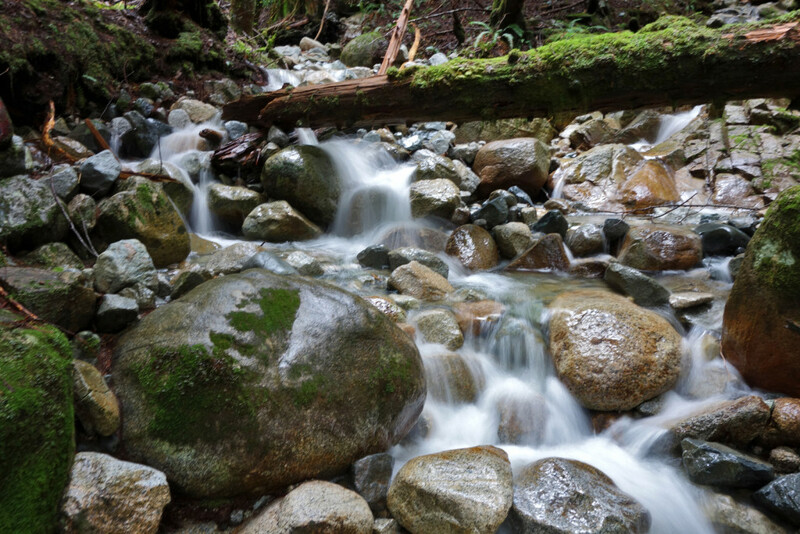 Burke Mountain offers a large network of hiking and biking trails, each has it’s own unique features as found in ‘Burke and Widgeon, A Hiker’s Guide’ by Lyle Litzenberger: http://www.burkeandwidgeon.com/about-the-book/. Area: Burke Mountain, Coquitlam, BC. Trail type: Out and back with loop options. 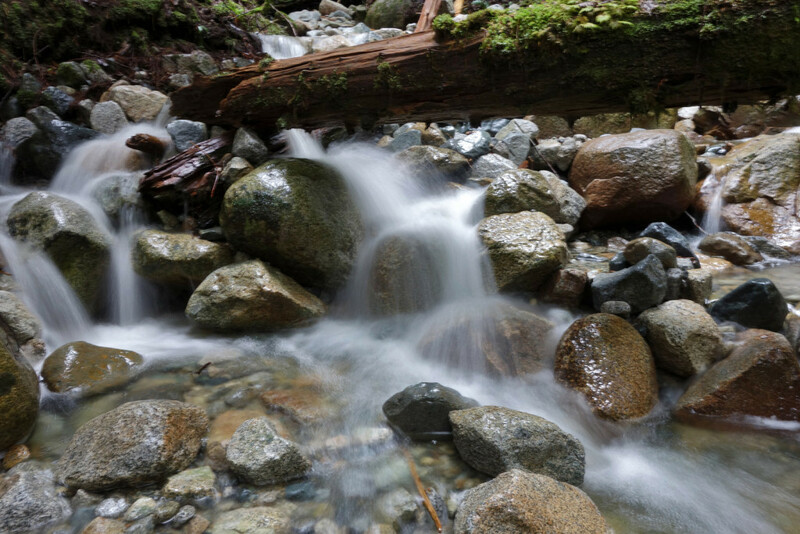 Nearby hikes: Woodland Walk Trail, Burke Mountain South and North Summit, Munro Lake, Dennett Lake, and many more. 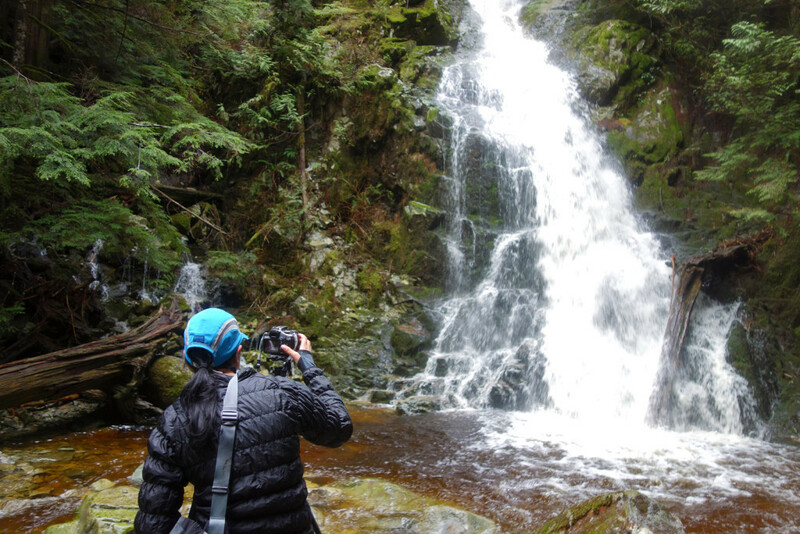 Good to Know: Sawblade Falls is a great hike if you’re pressed for time. Burke Mountain has a huge network of trails, you could spend some serious time exploring all sides. It offers good low-elevation options for shoulder season or when you’re pressed for time. And it has some extensive backcountry routes incl: Burke’s North Summit, Widgeon Peak, and more. As mentioned above, I highly recommend picking up Lyle Litzenberger’s guide. Head Eastbound on Lougheed highway. Turn left onto Coast Meridian road and continue left (on Coast Meridian road) at the next intersection. Turn right onto Harper road. Harper road veers to the left and turns into a gravel road. Look for a yellow gate on the right; park across the road, just before the PoCo & District Hunting and Fishing Club. We started at the gate and immediately peeled off to the left for the Woodland Walk trail. 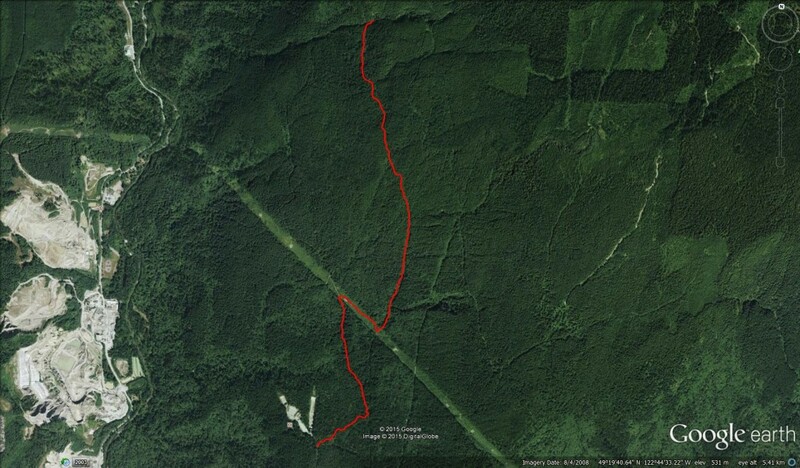 The trail followed through the forest to a gravel road. 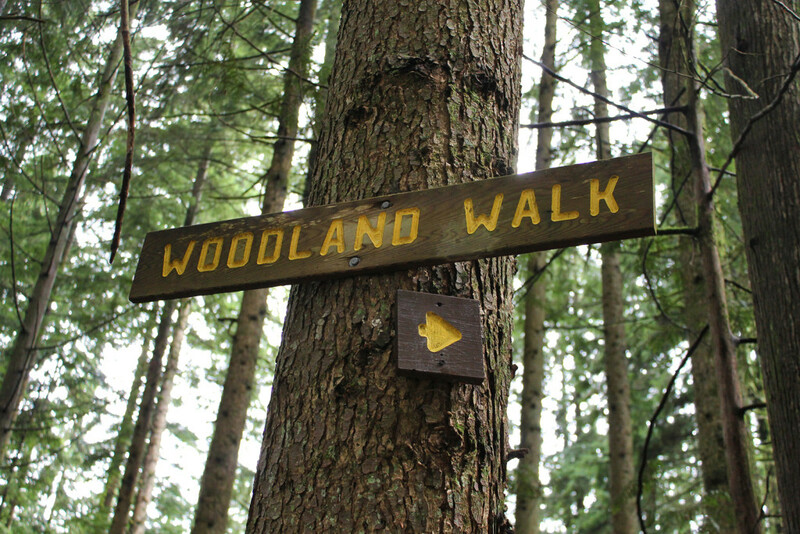 A sign for ‘Woodland Walk’ pointed us to a trail that went immediately back into the forest. We reached a second junction that crossed a gravel road. We were forced to follow the road to the right (instead of connecting the Woodland Walk trail, which lay beyond a bridge on the road to the left) because of power line work. This work had closed the trail to the left. We managed to pick up cell signal and spend some time googling trail alternatives. 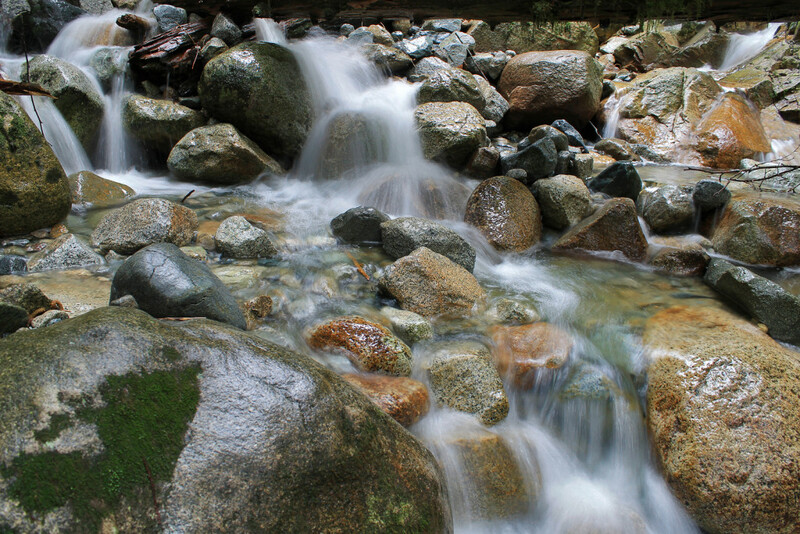 Burke Mountain trails can quickly turn you around if you don’t know where you’re going. At the next junction, we turned left on the gravel road and came across a sign on the left for the Coquitlam Lake View/South Slope trail; this trail continued into the forest on an old skid road. The trail is in great condition and easy to follow as it winds its way uphill. 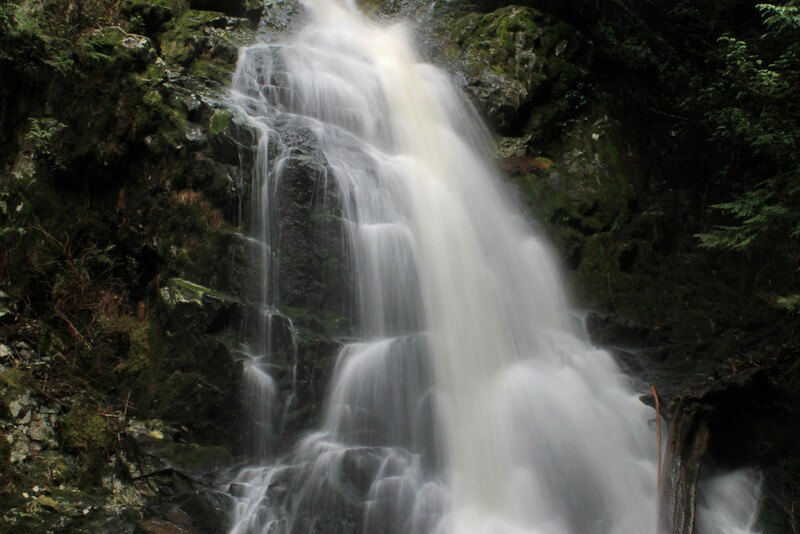 All of the spurs to the Sawblade falls were signed, though there were several junctions with mountain bike trails which were not signed. The trail crossed a number of small creeks; we had no trouble crossing any of them. We made several stops to practice shooting the water and the surroundings. Next, we reached the second to last junction for Sawblade falls. 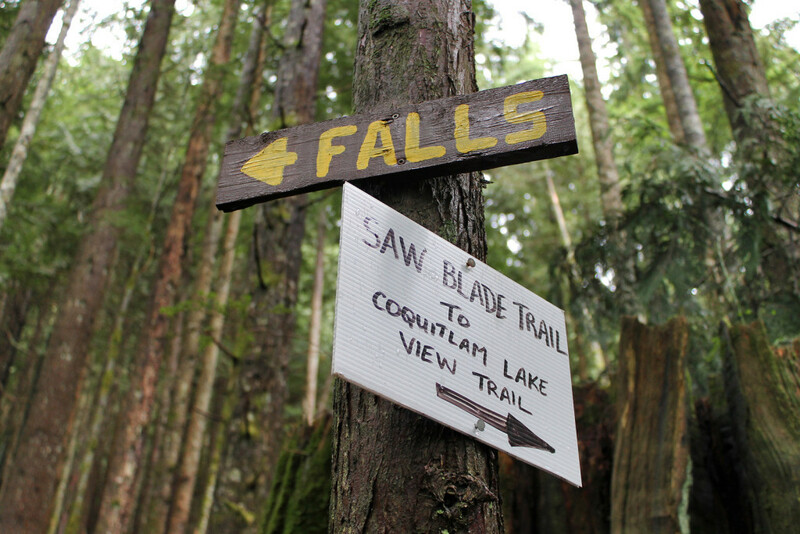 A hand made sign pointed the way to the left; to the right was the trail for Coquitlam Lake View and South Slope. This stretch of the trail was comparatively flat. It continued along a wide and easy to follow spur road. The forest along this stretch was surprisingly dark and cool, despite it being early afternoon. The trail crossed a few more small creeks and passed junctions with more unmarked mountain bike trails. 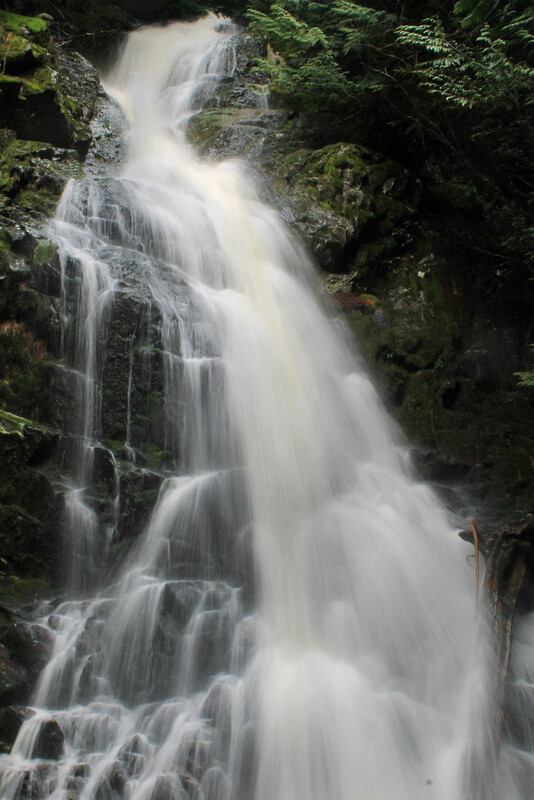 Soon, we heard the faint, unmistakable roar of a waterfall. Just before the spur road ended at a steep canyon (the old bridge that crossed had long since fallen away), the trail swung to the right. 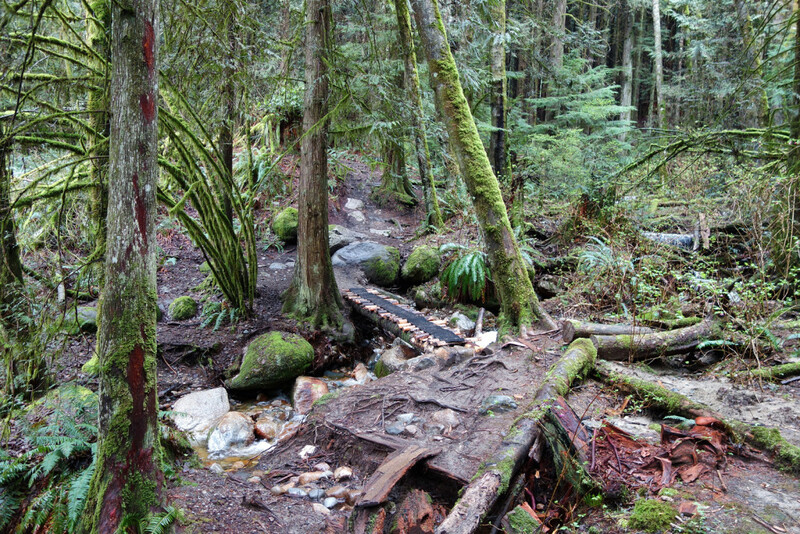 Here, a junction pointed the way to the falls (on the left) or an upper trail to the Coquitlam Lake View trail (on the right). The final stretch of the trail to Sawblade falls was quite rough, as it made its way through the forest and dropped steeply down to the base of the falls. Again, the trail was well marked with orange flagging. With the cold breeze in the canyon, we both put on an extra layer before setting up the tripod for some waterfall photography. After shooting our fill, we packed up and retraced our steps to the spur road and then along the Coquitlam Lake View/South Slope trail back to the truck. The Sawblade falls were stunning. 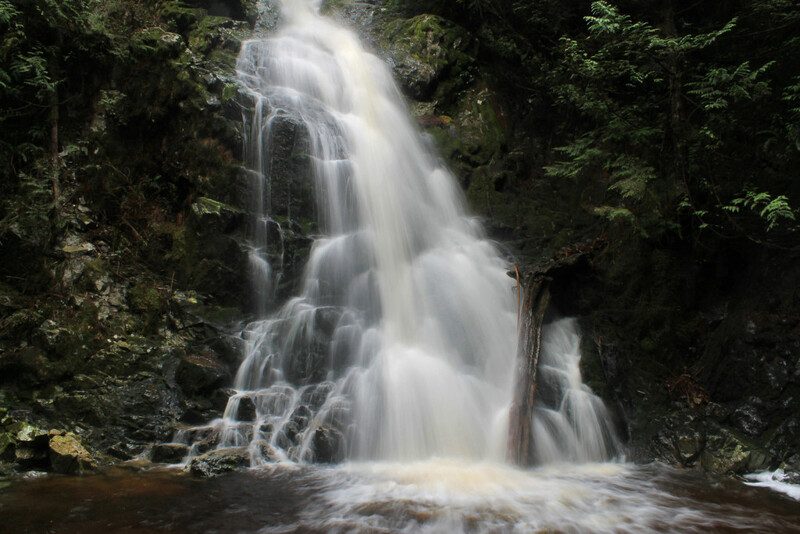 I’d love to come back in summer for a contrasting visit, when the falls are a mere trickle. We will definitely spend more time here in the upcoming months; I’m interested in connecting the trails and checking out the higher ridges around Burke Mountain. 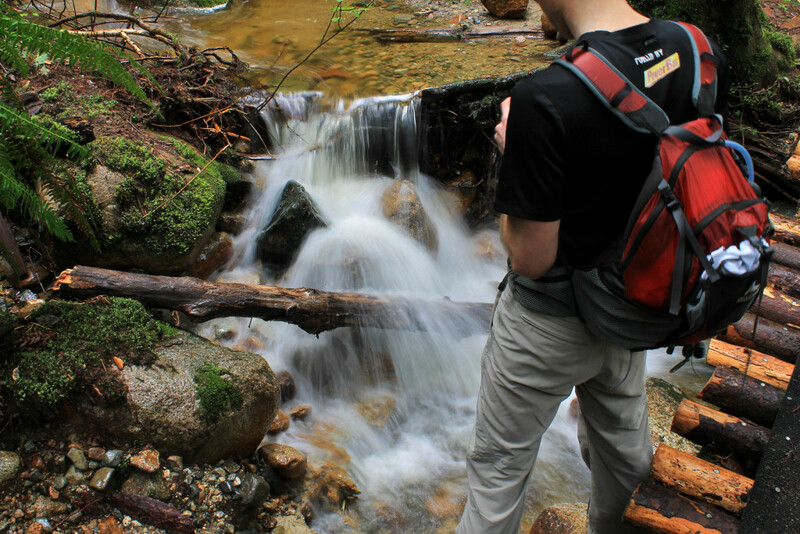 The trail to Sawblade falls was relatively short with very gradual elevation gain. Due to the nature of the hike, I did not monitor my blood sugars very closely. I started the day with a reading of 8.1mmol and checked 3 more times throughout the course of the hike; readings were 7.2, 9.3, and 10.7. I stopped once for a pack of shotbloks and corrected with a half of my regular dose of insulin (1 unit for every 10 grams of carbs). I left my basal rate at its normal ratio as we maintained a leisurely pace with numerous photo stops. Because I did not exert much effort, I did not expect any spikes or crashes in blood sugar levels. Thanks for the note, Carmela. I hope you get to see the falls earlier next Spring! I was wondering if there was a good place to park to avoid getting towed? Nice account, Ashi. 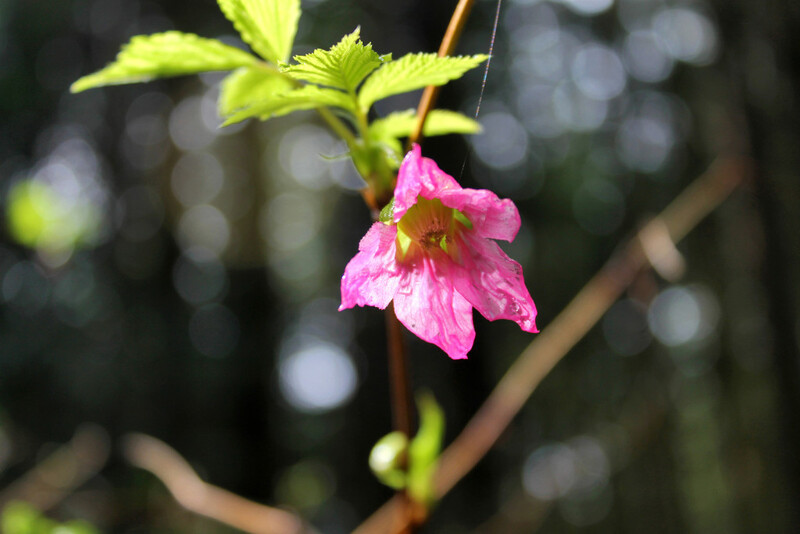 🙂 One minor correction to the legend of one of your photos: that’s a salmonberry blossom, not a wild rose. Glad you liked the hike!